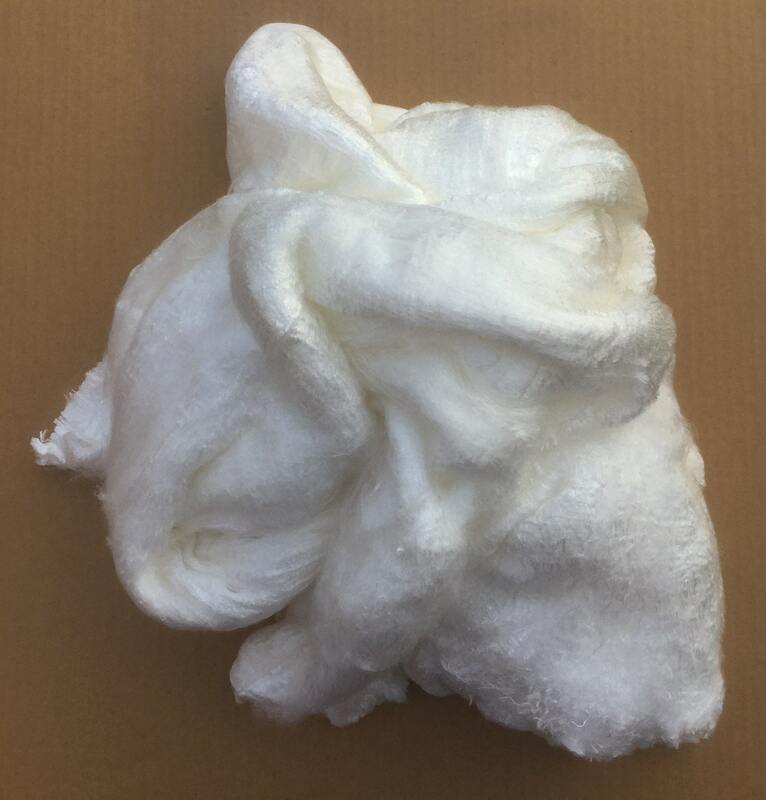 This listing is for a 50g of Mulberry Silk Filament Sheet. 100g bags and 500g bags are also available, please choose from the drop down menu. 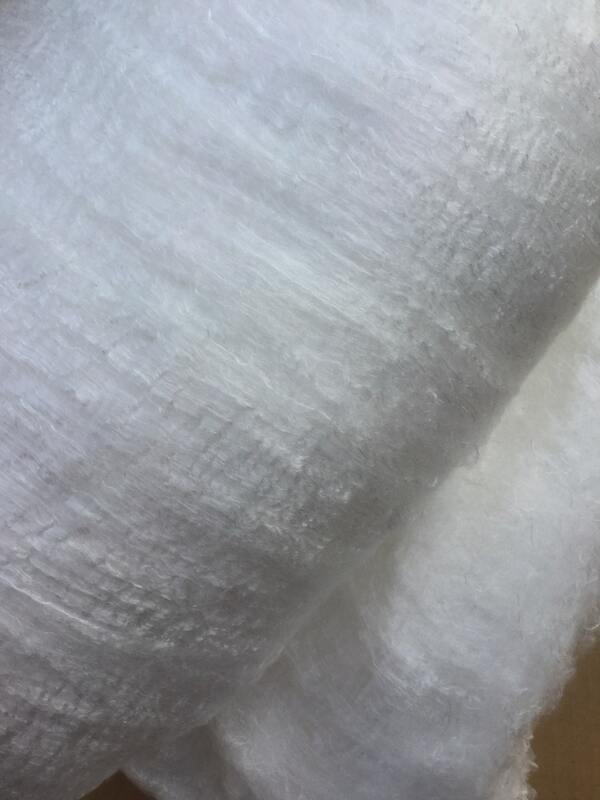 This is the most beautiful Silk Fibre I have ever seen. A sheet of Silk Filament with the filament fibres lying the entire length of the sheet giving it incredible strength. The silk has an incredible sheen. A 50g piece is cut from the width of the full sheet ( a full sheet weighs approximately 750g) it is approximately 300mm wide by 400mm long, but can be stretched lengthwise quite considerably. The fibres lie across the width of the piece from which fine layers can be peeled. A 100g piece is also cut from the width of a full sheet and measures approximately 300mm wide by 800mm long. A 500g pieces is two thirds of a full sheet and measures approximately 1500mm long by 800mm wide. The filament fibres lie along the length of the sheet. 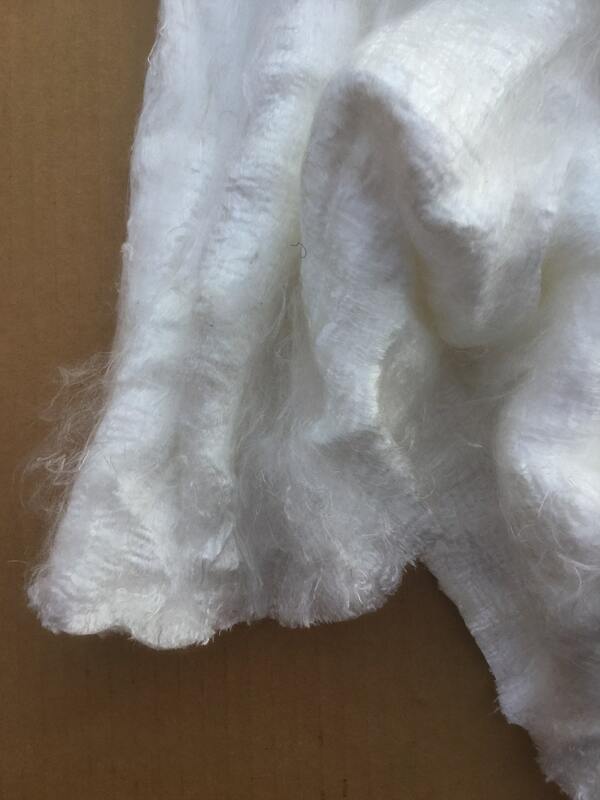 The silk filament sheets are especially good for Nuno felting and for felt makers to include with wool whilst wet felting to create added texture and lustre. 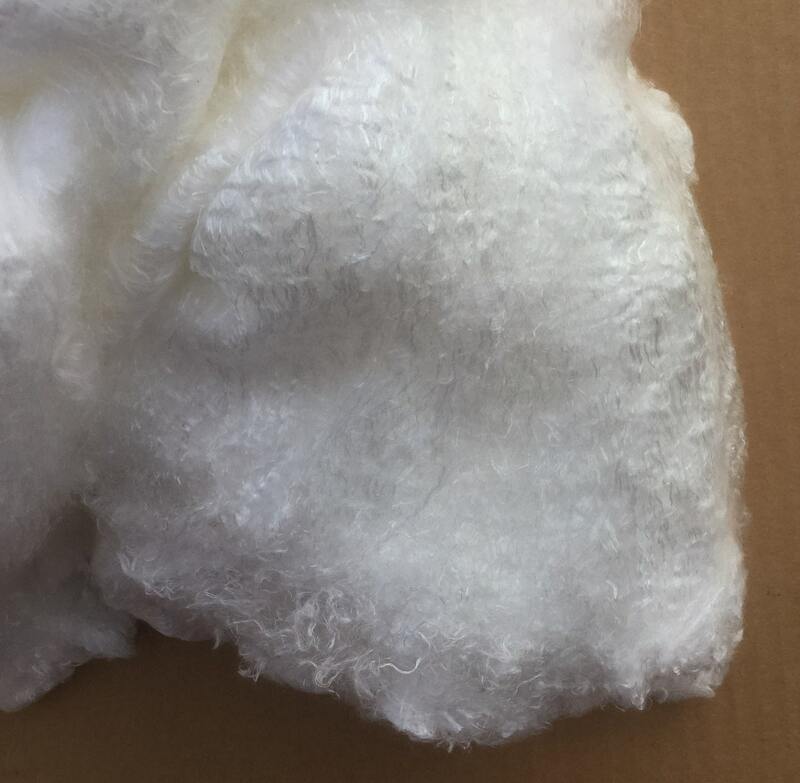 The Silk Filament Sheets are also suitable for spinning into yarn (if cut), needefelting, silk paper making (Silk Fusion), mixed media techniques, embroidery and scrapbooking. A 500g bag is also available - please choose from the drop down menu. 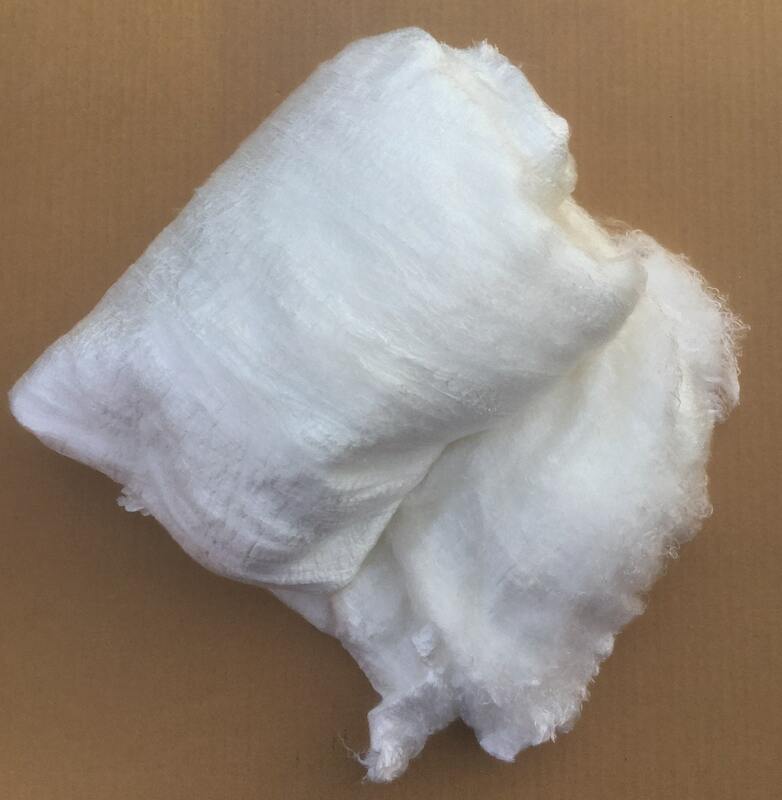 If you want more than one 500g bag, please check for availability and postage costs as Capped Shipping does not apply on multiple 500g bags. We hand dye this product also, in a variety of colours, please visit our shop for more options.